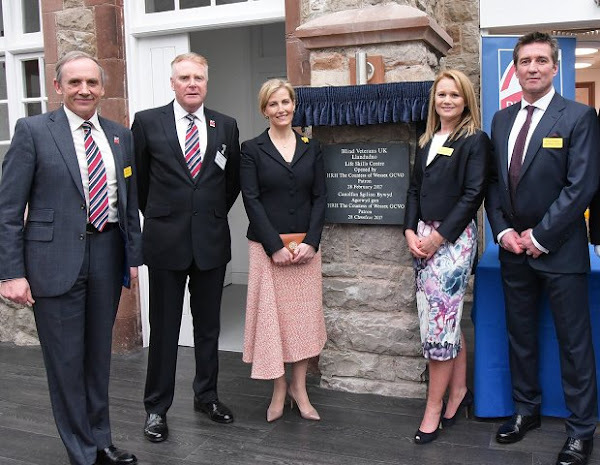 On February 28, 2017, Sophie, Countess of Wessex opened new facility for blind veterans in Llandudno, Wales. The building has been built after a £1.25m grant from the Veterans Accommodation Fund. Blind Veterans UK, is a large national charity in the United Kingdom, providing free support and services to vision impaired ex-Armed Forces and National Service personnel in the UK. 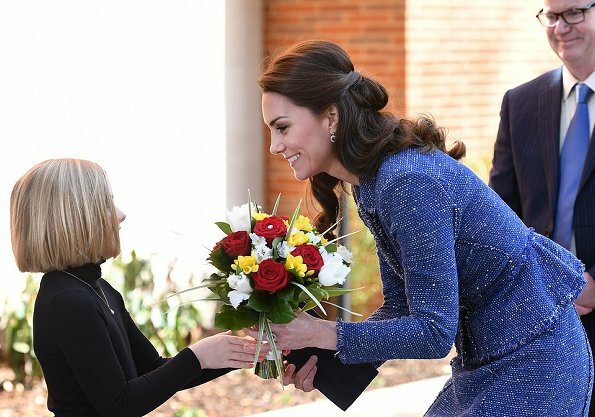 Catherine, Duchess of Cambridge arrives for visit to Ronald McDonald House Evelina London on February 28, 2017 in London, England. Ronald McDonald House Evelina London (RMHC) provides free 'home away from home' accommodation for families with children in hospital. 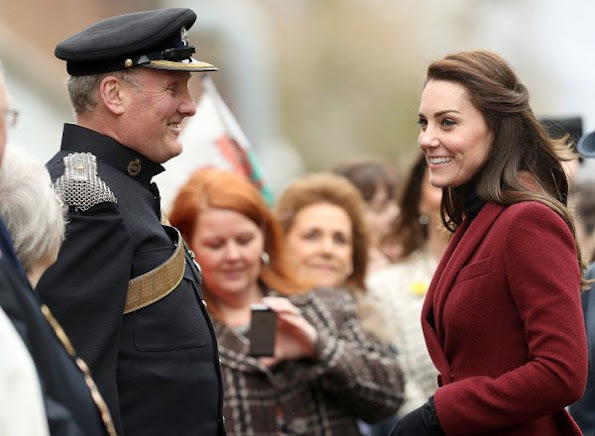 The Duchess wore Rebecca Taylor Skirt Suit. Japan's Emperor Akihito accompanied by Empress Michiko arrived at Hanoi airport on February 28, 2017 in Vietnam. 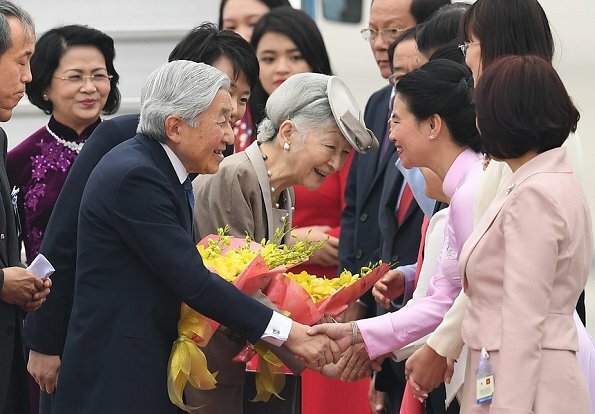 Emperor Akihito and Empress Michiko are greeted by Vietnamese Vice president Dang Thi Ngoc Thinh and other Vietnamese officials upon their arrival at Hanoi's International airport Noi Bai. 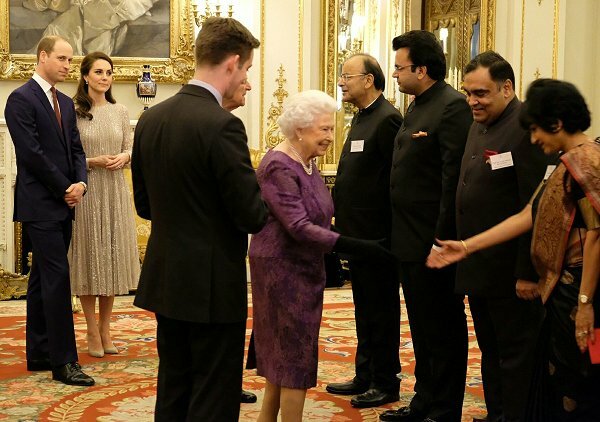 On February 27, 2017, Queen Elizabeth II and Prince Philip, Duke of Edinburgh, Prince William, Duchess Catherine of Cambridge and other members of the Royal Family, host a reception to mark the launch of the UK-India Year of Culture 2017. Duchess Catherine wore new Erdem silver dress . We saw the same dress on Crown Princess Mette Marit during her visit to Canadian Museum of History in Gatinueau on November 7th, 2016. King Willem-Alexander and Queen Maxima of the Netherlands, with their daughters Crown Princess Catharina-Amalia, Princess Alexia and Princess Ariane attend the annual winter photocall 2017 in the alpine ski resort of Lech on February 27, 2017 in Austria. 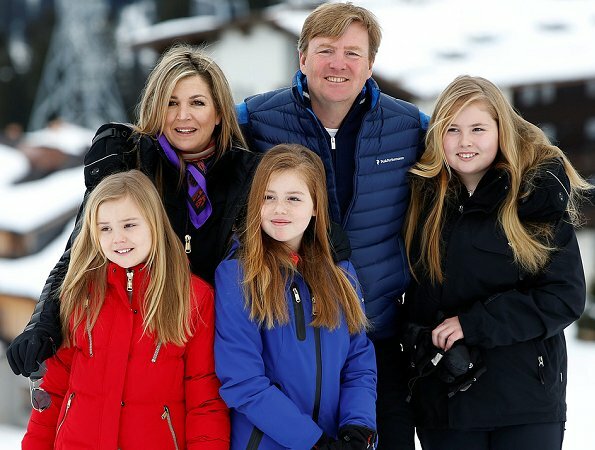 The Dutch Royal family is the spending their winter vacation on Arlberg Ski center in the western Austrian province. 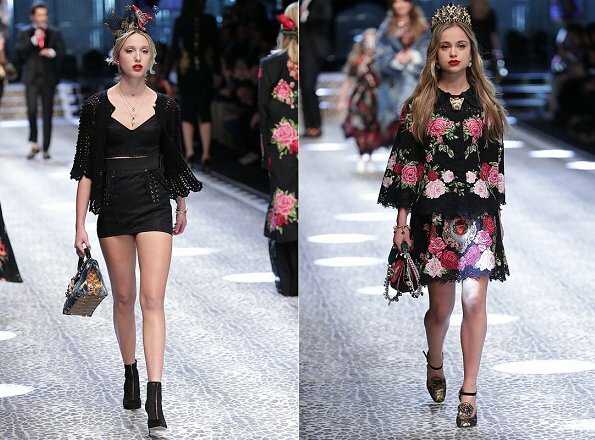 On February 26, 2017, Princess Maria-Olympia of Greece and Denmark, Lady Amelia Windsor and Lady Kitty Spencer walked down the runway for Domenico Dolce & Stefano Gabbana's Fall/Winter 2017/18 show at the Milan Fashion Week in Milan. This week, Princess Madeleine of Sweden attended the board meeting of the World Childhood Foundation-USA in New York City. 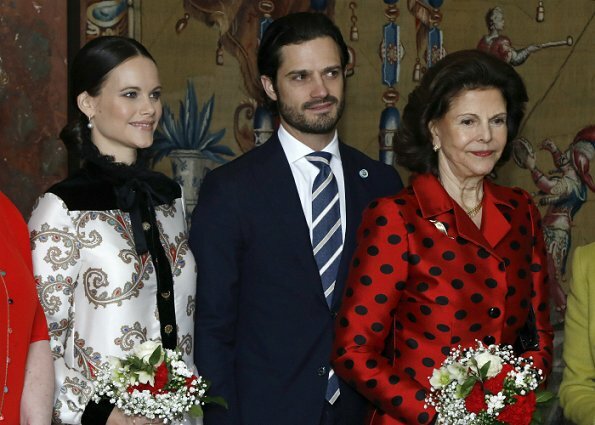 Queen Silvia is the founder and Honorary Chair of the World Childhood Foundation. 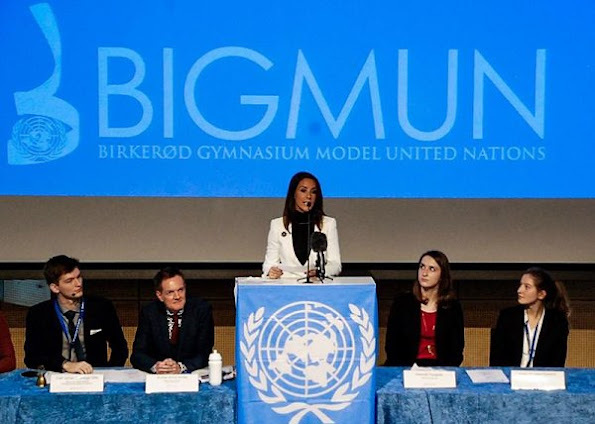 Princess Madeleine is honorary board member of the World Childhood Foundation USA. Princess Madeleine wore Vilshenko Silk Border Embroidered Shirt from Resort 2017 Collection. On February 25, 2017, Princess Charlene of Monaco attended the “Prix Princesse Charlène de Monaco-Charity Mile” race event at the Hippodrome de la Côte d'Azur in Cagnes-sur-Mer, France. It is being hosted by the Côte d’Azur Racing Society and is the first ever Charity Mile to be held in France. (Princess Charlene wore Akris Ilka Jockey Jacquard Short Jacket and Akris Silk Crêpe Jumpsuit). On February 24, 2017, Princess Charlene of Monaco attends the AMREF gala in Monaco. Amref (African Medical and Research Foundation) is the largest African health development non-governmental international organisation based in Africa, committed to improving health and health care in Africa. 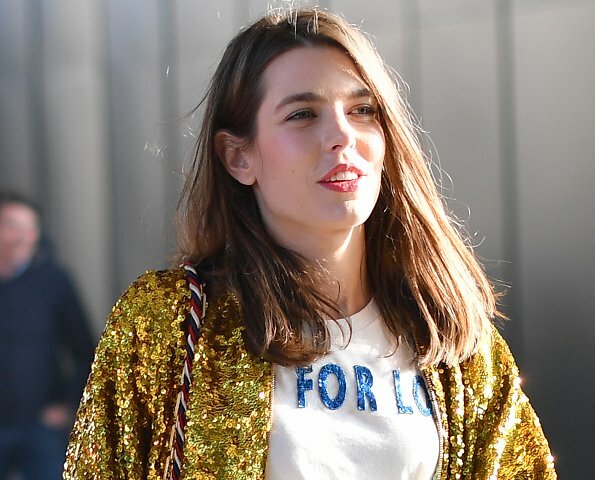 Charlotte Casiraghi attend the Gucci show during Milan Fashion Week Fall/Winter 2017/18 on February 22, 2017 in Milan, Italy. 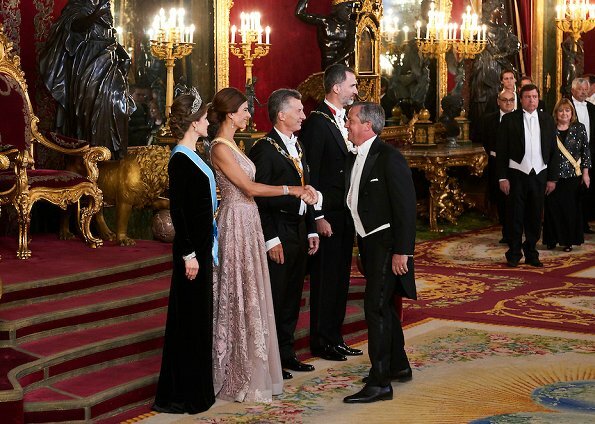 Argentina's President Mauricio Macri and wife Juliana Awada hosted a reception in honour of King Felipe of Spain and Queen Letizia of Spain at El Pardo Palace on February 23, 2017 in Madrid, Spain. 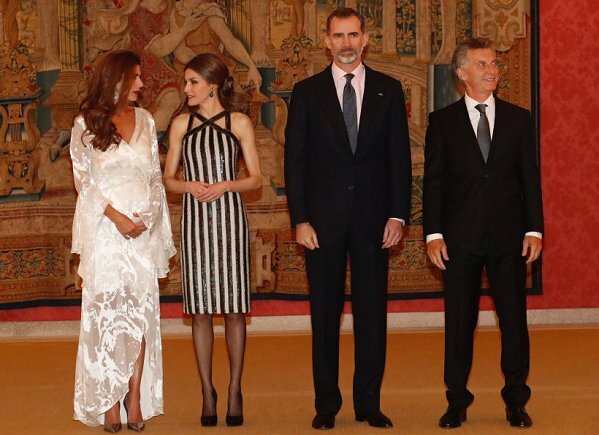 President Mauricio Macri and his wife are on a four-day State visit to Spain in order to strengthen bilateral ties. 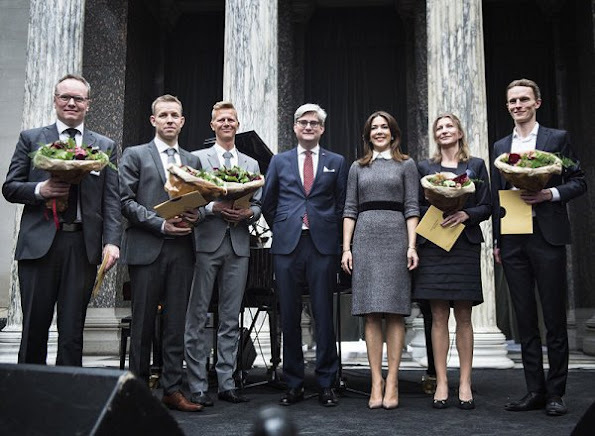 Crown Princess Mary presented the awards of the EliteForsk at a ceremony at the Glyptoteket Art Museum in Copenhagen on February 23, 2017. The aim of Elite Research as an organisation is to highlight and encourage the efforts and achievements of young Danish researchers. Eliteforks, grants 100,000 danish kroner (approximately $15,000) and gives 20,000 danish kroner for their research with each award. On the last day of her visit to Laos, Queen Mathilde of Belgium visited the Vat Phou temple (meaning: mountain temple) south of Pakse, which is in the Unesco World Heritage List on February 23, 2017. Queen Mathilde, honorary President of Unicef Belgium, is on a four days mission in Laos. Queen Letizia and King Felipe of Spain, Argentina's President Mauricio Macri and Argentina's First Lady Juliana Awada attend the opening of ARCO 2017 (Contemporary Art Fair) at IFEMA on February 23, 2017 in Madrid, Spain. On February 23, 2017, Danish Crown Princess Mary as Patron of the World Health Organization (WHO) Regional Office for Europe attend a reception held at the UN City in Copenhagen. Crown Princess received the WHO Award 2017 from WHO Director-General, Dr. Margaret Chan. In the evening of February 22nd, Spain's King Felipe and Spain's Queen Letizia, Argentina's President Mauricio Macri and his wife Juliana Awada attended a Gala Dinner at the Royal Palace in Madrid, Spain. On the third day of Queen Mathilde's visit to Laos, the Queen visited the a community based pre-school in Kang village (Saravan Province), Laos on February 22, 2017. Queen Mathilde, honorary President of Unicef Belgium, is on a four days mission in Laos. Crown Princess Mary of Denmark participates CBS-Case Competition panel about 'Opportunities in Crisis' held at Copenhagen Business School on February 22th,2017 in Frederiksberg. Panellists discuss the institutional strategic opportunities on crisis. On February 22, 2017, Dutch Queen Maxima opens first Buzinezz Forum at the Social Impact Factory in Utrecht, The Netherlands. The forum is a platform for authorities and social entrepreneurs to provide young people with a distance market prospects of a job. Queen Maxima wore Dolce & Gabbana Microprint Wool Sheath Dress. 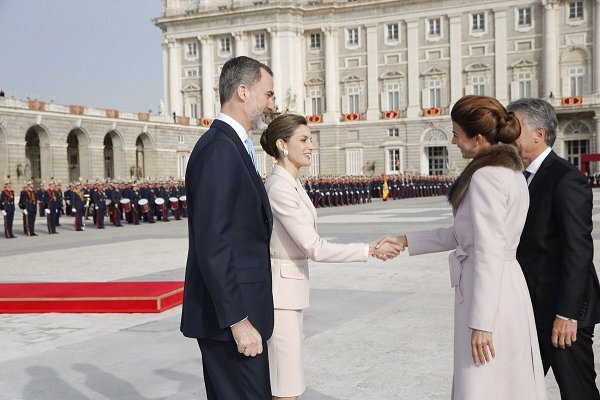 On February 22, 2017, King Felipe of Spain and Queen Letizia of Spain welcome President Mauricio Macri of Argentina and his wife Juliana Awada at the Royal Palace in Madrid, Spain. On February 21, 2017, Queen Rania of Jordan visited the Al Bayader Vocational Secondary School for Girls to honor the schools accredited by the Royal Health Awareness Society’s Healthy Schools National Accreditation project. The project aims to foster health conscious environments within Jordanian schools by ensuring their adherence to national health standards. On the second day of Queen Mathilde's visit to Laos, the Queen visited the Lao Ngam (Sanon village) for the health outreach in Salavan Province, Laos on Tuesday 21 February 2017. Queen Mathilde of Belgium, honorary President of Unicef Belgium, is on a four days mission in Laos. 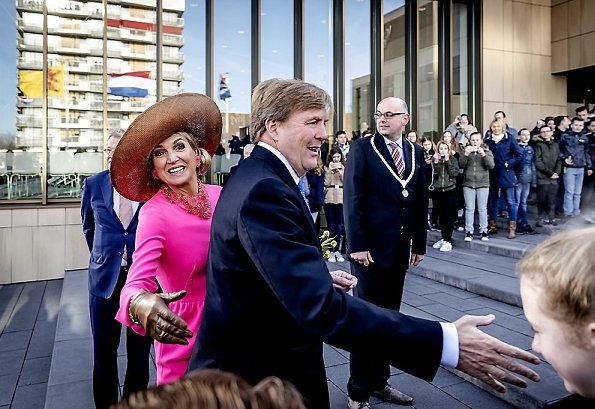 On February 21, 2017, King Willem-Alexander and Queen Maxima of The Netherlands visited the Krimpen aan den IJssel town in the western The Netherlands. 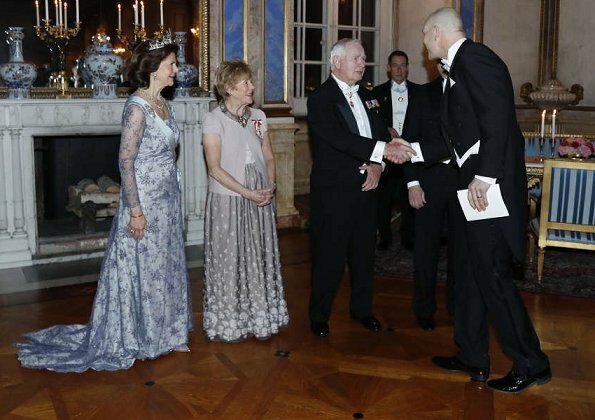 In the evening of February 20, King Carl Gustaf and Queen Silvia hosted a state banquet at Royal Palace in honour of the Governor General of Canada David Johnston and his wife, Sharon Johnston. 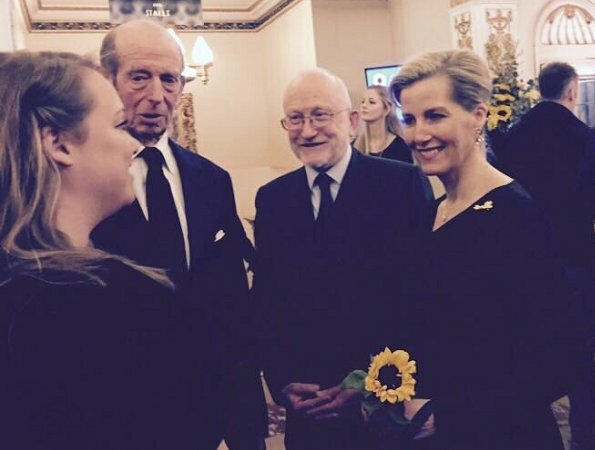 The banquet was attended by Prince Carl Philip and his wife, Princess Sofia, Princess Madeleine and her husband, Christopher O´Neill. 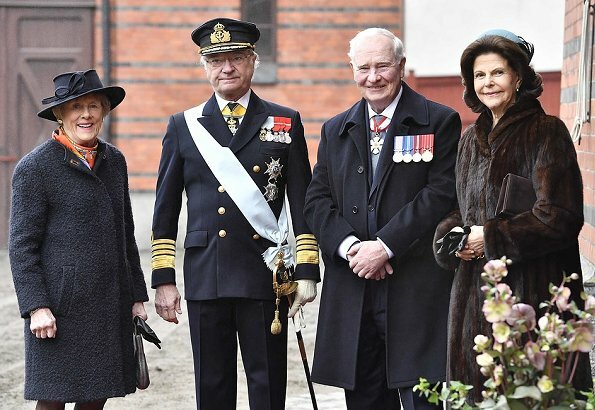 On February 20, 2017, King Carl Gustaf, Queen Silvia, Prince Carl Philip, Princess Sofia, Princess Madeleine and Christopher O'Neill attend the official welcoming ceremony for the Governor General of Canada David Johnston and his wife Sharon Johnston at the Royal Palace in Stockholm, Sweden. David Johnston's four-day State Visit will encompass Stockholm, Malmoe, Lund and Gothenburg. Queen Mathilde of Belgium arrived at Vientiane Airport in Laos (Lao People's Democratic Republic) on Monday 20 February 2017. 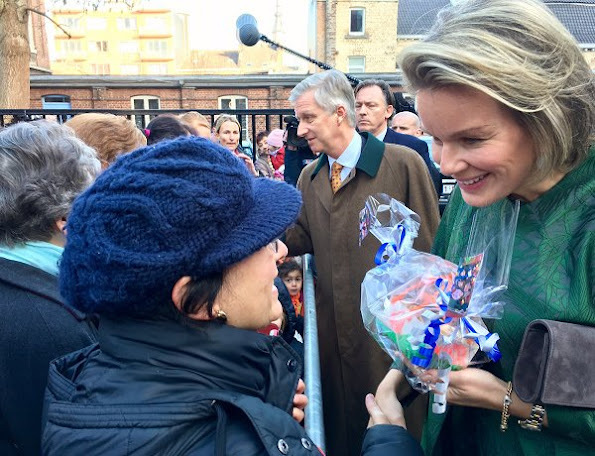 Queen Mathilde, honorary President of Unicef Belgium, is on a four days mission in Laos. On the first day of her visit, the Queen met with the Minister for Foreign Affairs, the Minister for Female Affairs and the Vice President. 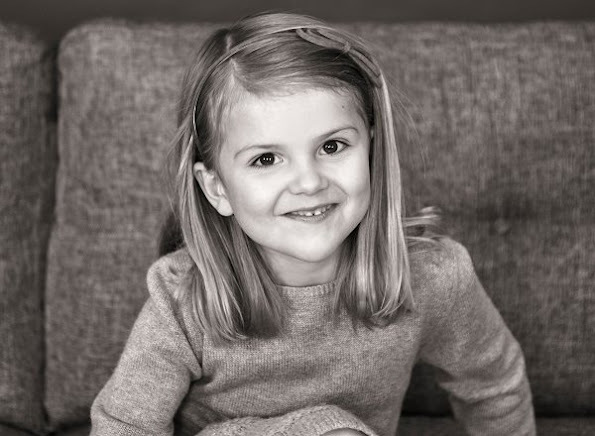 Daughter of Princess Madeleine and Christopher O'Neill, Princess Leonore of Sweden celebrates her 3rd birthday today. 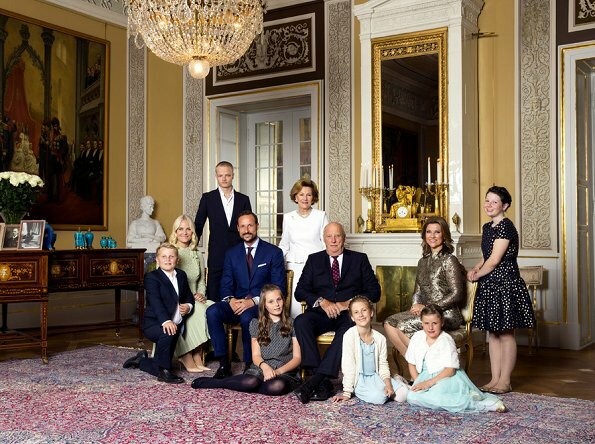 Swedish Royal Palace released two new photos of Princess Leonore on the occasion of the birthday and opened a congratulation form page on the Royal website for everyone who wants to congratulate the Princess. For Royal Web Page: Congratulation Form. Happy birthday to you Princess Leonore. 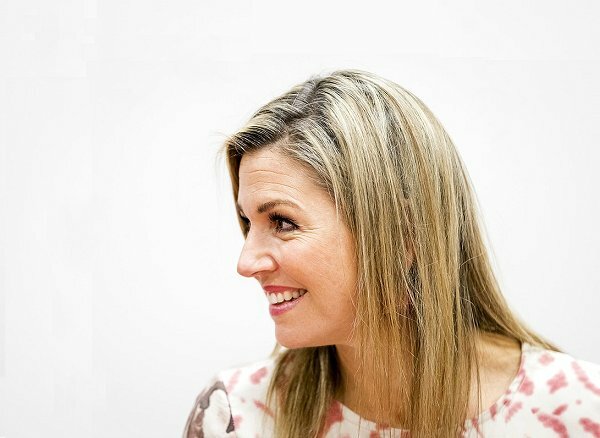 On February 18, 2017, Queen Maxima attend the opening of the A Royal Paradise (Een Koninklijk Paradijs) exhibition at Dordrecht Museum in Dordrecht, The Netherlands. Last night, Prince Carl Philip and his wife Princess Sofia of Sweden and their friends got together for a dinner at Teatergrillen Swedish & French Restaurant in Östermalm district in Stockholm, Sweden. 17 February 2017. 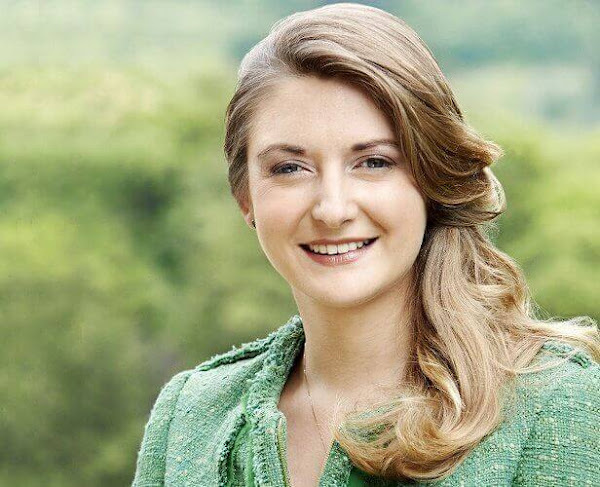 Today is February 18 and Hereditary Grand Duchess Stephanie celebrates her 33rd birthday!. Countess Stéphanie de Lannoy was born in Renaix, Belgium on the 18 February 1984. On 20 October 2012, Countess Stéphanie de Lannoy married The Hereditary Grand Duke Guillaume of Luxembourg in the Notre-Dame Cathedral in Luxembourg-City. She subsequently became the Hereditary Grand Duchess of Luxembourg. Happy birthday to you, Princess Stephanie of Luxembourg. 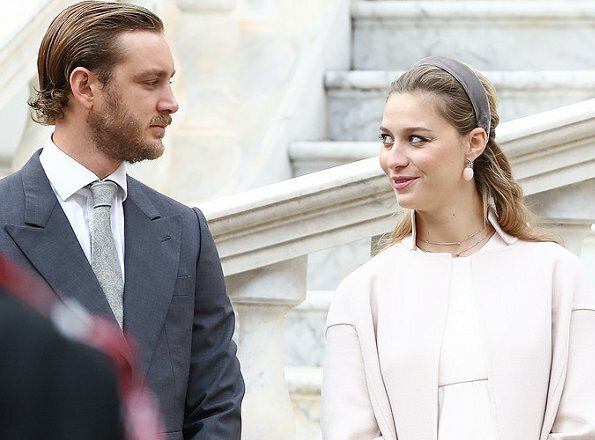 Princess Tessy and Prince Louis of Luxembourg are officially divorced. Prince Louis and Princess Tessy, who announced their separation just a short while ago, was granted a "decree nisi" at London family court. 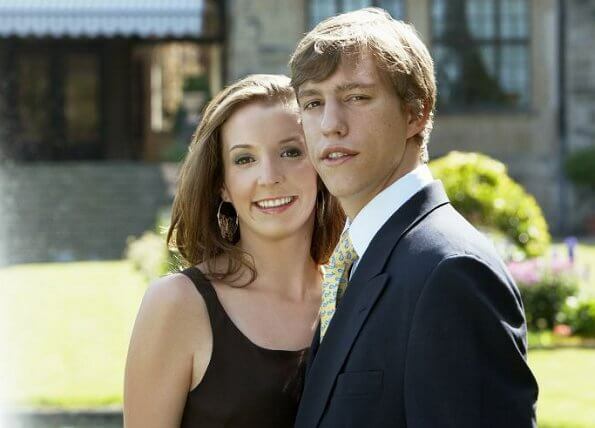 The divorce was obtained by Princess Tessy on the grounds of "unreasonable behaviour". Unreasonable behaviour is one of five reasons for divorce in the United Kingdom. 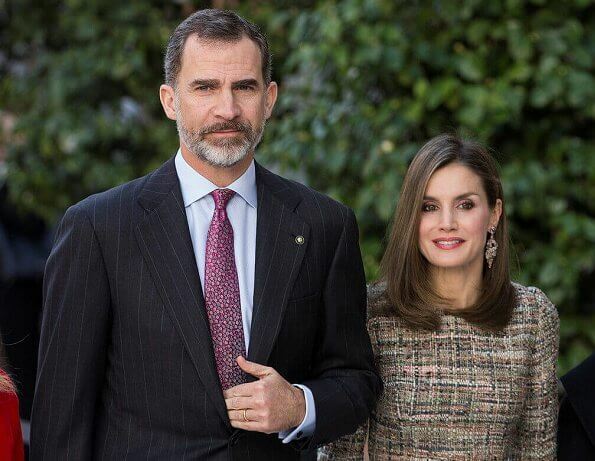 On Februar 2017, 17, King Felipe and Queen Letizia of Spain attend the opening of the 'Budapest Master Pieces' exhibition (Obras Maestras de Budapest. Del Renacimiento a las Vanguardias) at the Thyssen-Bornemisza Museum in Madrid, Spain. 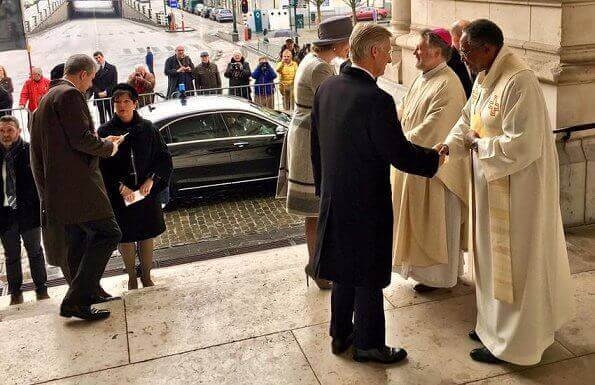 On February 17, 2017, Queen Mathilde, King Philippe, Princess Maria Esmeralda and Princess Lea of Belgium attend the annual celebration of the Eucharist in memory of the deceased members the Royal Family at the Our Lady Church in Laeken, Brussels. On February 12, 2017, Crown Prince Frederik and Crown Princess Mary with their children, Prince Christian, Princess Isabella, Prince Vincent and Princess Josephine were seen at one of the Swiss ski resorts. 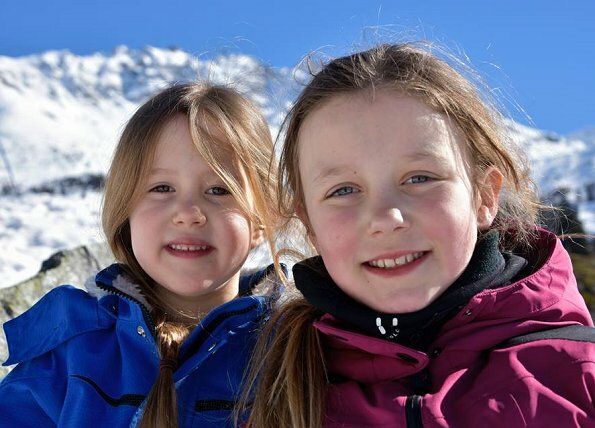 Crown Princess Mary shared new photos taken during winter holiday in Verbier today. Princess Maria-Olympia of Greece and Denmark attends the Michael Kors Collection Fall 2017 Runway show at the Spring Studios on February 15, 2017 in New York City. On February 16, 2017, Crown Princess Mette-Marit of Norway visits the Oslo Life Science 2017 conference held at the Aula Hall of University in Oslo. Oslo Life Science is an strategic conference that will strengthen quality and interaction in research. 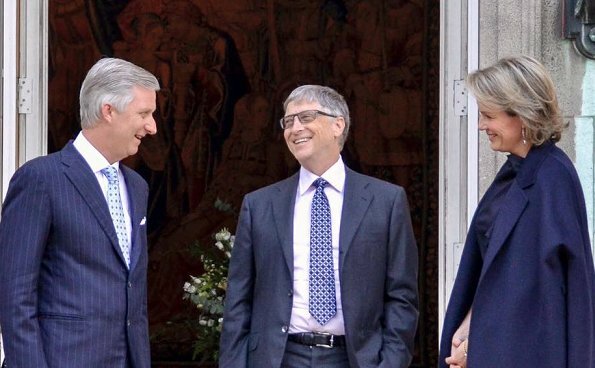 Queen Mathilde and King Philippe of Belgium visited a non-profit association Tele-Service on February 15, 2017 in Verviers, Belgium. 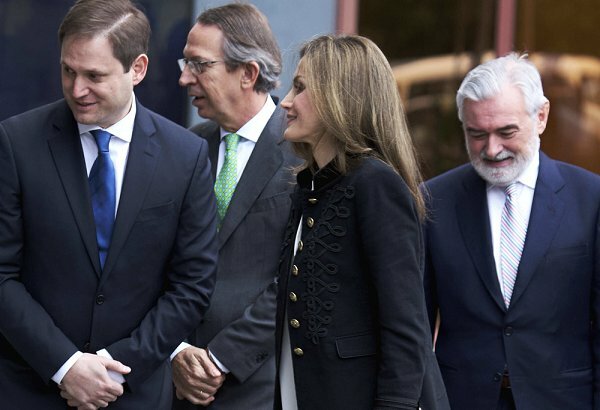 Queen Letizia of Spain receives the representatives of the Vianorte-Laguna Foundation at the Zarzuela Palace on February 15, 2017 in Madrid, Spain. Vianorte Foundation is helps people suffering from Alzheimer who need palliative care. Queen Maxima visited the Emma Children's Hospital AMC on February 14, 2017 in Amsterdam, The Netherlands. The foundation supports young people with a chronic illness or physical disability in work experience through, for example a holiday or part-time job or some other form of work.